I have booked an appointment for visa extension on the 2nd of June and it is for the one day service. I am traveling to Canada on the 10th of June and would need my BRP and passport by then. Would I be able to receive them by then? Is there a way to receive them quicker? Answer: There is no way to speed up how fast you get the visa (BRP card). The visa is processed by the DVLA (the organisation that issue driver licences) and it will depend on how busy they are. The Home Office has no influence over this. If you return to the UK with your approval letter and your passport then this should be enough to satisfy the border staff, though they may check your status on return but shouldn’t delay you by much. My BRP card has expired. I need a new one. How can I do this? You need to make an application to the home Office. Our fees are £300 to assist in renewing a BRP that is expiring if it is in relation to someone who already has ILR. I have just been granted leave to remain after extending my initial spouse visa last Wednesday (premium service). I have a letter stating my BRP will arrive in 7 working days but I have to travel out of UK tomorrow. Ideally, you should not book travel right after a premium appointment, but sometimes in life, this is not possible if needing to visit family etc. You will normally be able to reenter the UK with your approval letter but expect a lot of questions at the border. The other issue you may face is from the Airlines who may not allow you to fly without a valid visa. My wife has had her surname changed in her passport does she need to change her name on her indefinite leave to remain visa stamp? Anyone who holds a passport with an ILR stamp first needs to consider getting a Biometric residence card as required by the Home Office. This is done through an application called NTL. During this application stage the name can be updated. If the applicant has had ILR for over 12 months they should consider looking into a British citizenship application. Dependent visas for parents are next to impossible to apply for and obtain. In 2012 the Home Office changed the rules which practically excluded nearly all applicants. You may pay £1000s in legal fees and to the Home Office and make no progress. We do not assist with these applications in the current rule format as 99% of the applications made around the world are unsuccessful. Time required for ILR and switching from Tier 2 to PBS dependent visa. I was on Tier 2 general visa for 1.5 years and then changed the visa to Tier 2 dependant. My query is – whether 1.5 years (as a Main candidate) would be counted for ILR or should i complete 5 years as dependant to apply ILR? If you switch to a dependent visa in the UK your ILR clock will reset and you will have to complete 5 years as a dependent to be eligible for the 5 year route for ILR. What happens if my visa expires after I submit my application? As long as you apply for your visa before your current visa expires then you can continue to use the current visa and the entitlements it gives i.e. a student visa may permit working 20 hours per week which the student can continue to do. The submission date is the post date on the application stamped by the post office. I am an Irish born citizen and married to an Indian citizen, we want to travel to the north for a weekend, does he need a visa? He holds an Indian passport. Many non-eea nationals require a visa to visit the UK. As Northern Ireland is part of the UK then if a national was normally required to apply for a visit visa for the UK then they would also need to apply for a visit visa to Northern Ireland. Note there is no immigration checkpoint or place to present the visa if entering Northern Ireland from the Republic of Ireland, but if someone was stopped they may be asked to produce this visitor visa or face deportation and exclusion from the UK for 10 years. I need to apply through premium service (same day) next week or very soon. Can you help me? All immigration advisers have access to the same booking system as the public. If you have been unable to find an appointment at short notice we will not be able to either. The key is to plan early if intending to use the premium service to ensure you allow enough time to book an appointment in advance. My visa was rejected, can I apply through premium service now? If your visa has expired you can’t use the premium service. If applying our of time i.e. when your visa has expired you need a valid reason for applying late. These applications can only be mailed. Can I book a premium service appointment if a passport is retained by the home office? If you have already submitted your visa application you can’t attend a premium same day visa appointment unless you request the return of your documents. This will withdraw your current application. You need to be careful not to withdraw if your visa has expired as you can’t attend a Home Office premium appointment if your visa has expired. You also require your passport to apply through the premium service too. I have made an application and submitted to the Visa and immigration department. But i have a concern, my partner’s financial requirement is complete, they earn over the required income, but their account runs into minus almost every month, do you think this should be a worry or concern? It doesn’t matter if a bank account is negative. The requirement of earnings is a tick box exercise to show a certain threshold is met. The caseworker will tick this off and move to the next requirement. There is no rule that states someone with poor management of finances or in a negative balance in the bank or credit should be refused. Can I start working for a new employer while sorting the Tier 2 visa from the old sponsor to the new one or if I can work for the previous employer till the new visa comes in. You can’t work for a new employer until your new Tier 2 General visa has been granted in connection with the new employer. I’m in the UK as a visitor, Can I extend my stay or switch to another visa? Switching is not permitted in the UK if you are here with a visitor/tourist visa. An application to extend or switch is likely to result in a deportation notice. Only under rare exceptional circumstances is this permitted i.e. your visitor visa was about to expire but your partner has been in a traffic accident and is in the hospital or other such extreme cases. You can’t apply through premium service either if you are here as a visitor. You must return home and apply for any visas you require for the UK. 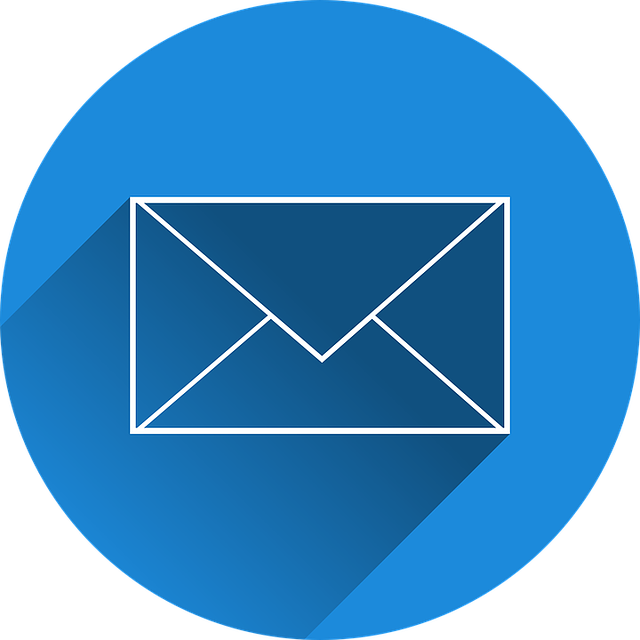 For applications made in the UK, it can be 1 day if using the premium same day service or up to 3 months on average for a mail application. Complex applications can take longer. I’m in the UK as a visitor and want to extend my stay or apply for a different visa. Can I? If you are in the UK as a visitor you must leave and apply for any other visa from your home country or country you have permission to reside. Visitor visas can’t be applied for from within the UK.